I keep hearing, "There can't be a delay when GM hasn't acknowledged the car...". FWIW the NCM had plant tours set to restart January 2019. Then around September/October last year it changed to an indefinite delay. Last edited by Tool Hoarder; 02-21-2019 at 05:07 PM. Yes... plant closed for the paint shop expansion. Plan was to re-open with reveal of C8. Approximately was based on that target. Now it specifically says there is no updated date target at this time. So they don't want us to see them making C7s? They've produced 40+ IVERs... i.e. they're test building C8s in batches in BG. Yes, those new C8 FE's are being tooled up. What many have been saying, myself included, is that there can't be an "official delay" because the car, production plans, and availability dates have not been announced. Everything about the car is being held closely under wraps. 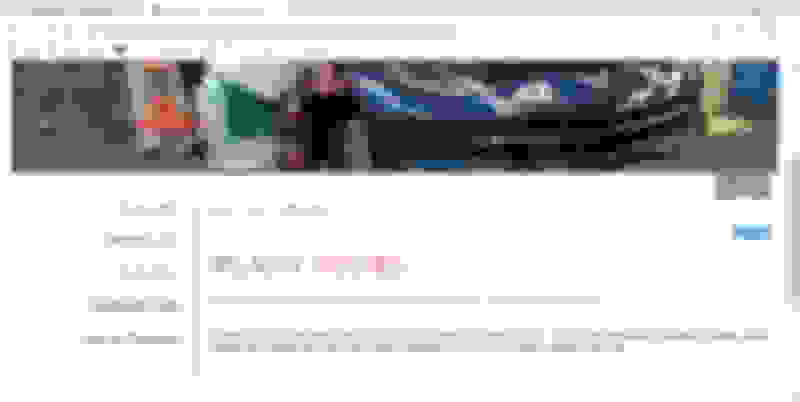 That's a smart strategy because announcing or teasing a coming new product, as was done for NSX and Supra, and then failing to deliver in a timely fashion is never a good thing for a new product. It is likely that there has been slippage in GM's internal timetable for making those decisions, but that is relatively routine during development of any new vehicle as testing reveals issues that should be attended to prior to going into production. That is the entire purpose of rigorous testing. Last edited by Foosh; 02-21-2019 at 05:39 PM. Nothing about “delay” or “indefinite” there, only that the tours are closed and that a reopening date has not been determined. Why no info if the C7 is here for 2020? not a new car like the C8? Order guides for the next model year are traditionally released in April. My new house was scheduled to be done January, now the builder has no idea when it'll be done... nah... not delayed. You had a firm date from the builder. Chevy has not even acknowledged the ME let alone provided any type of timeframe. FWIW I think the car will be unveiled this summer. Just my gut. Delayed but not years. Ahh, but builders live by a completely different set of rules than the rest of the planet! A price given by a builder, is a mere suggestion of what the cost might be and a completion date is a reference to a point in time in the future when something may or may not happen. I'm just jealous of builders, because my clients actually expect me to do things for the prices I quote and deliver them on dates as stated. Yes, that is a delay because the builder announced to you that your house was scheduled to be finished in January. GM has done no such thing w/ regard to building an ME. Last edited by Foosh; 02-22-2019 at 08:20 AM. We all know the NCM works closely with GM/BGA... clearly the goal was to re-open the plant tours January '19. We all know the C8 is being developed, IVERs being built, parts have to be around the plant. Thus, they wouldn't/couldn't open the plant until the C8 was released/official. There is no time table to open plant tours for a few more months, then close again for C8 change-over. 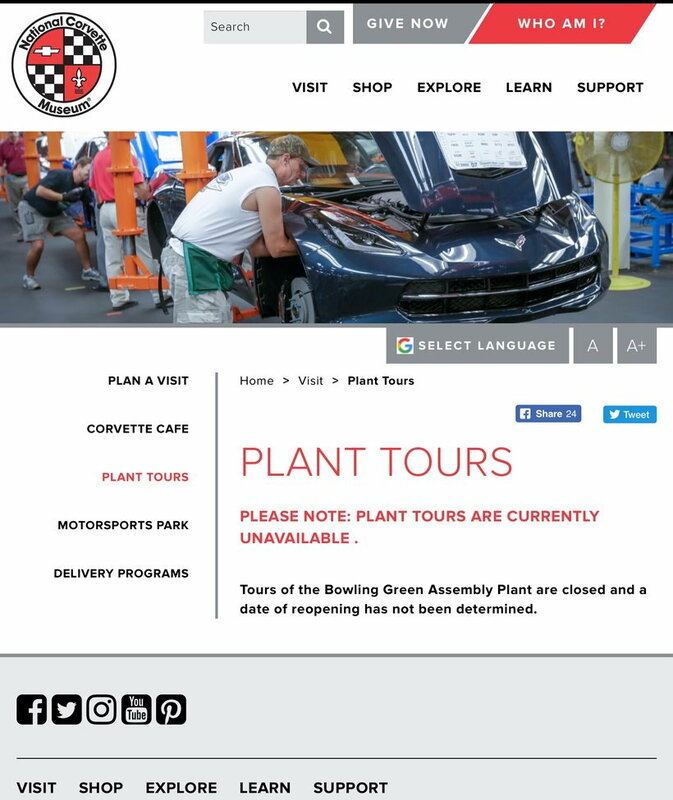 Now... plant tours are delayed with now re-open date set. There clearly has been a delay in the timeline for the car. Last edited by Tool Hoarder; 02-22-2019 at 09:05 AM. Further evidence are the keyfob 'leak' which wasn't even a leak, and the logo animations from the infotainment firmware. The key fob with the logo was scheduled with the FCC for public release last year, and the firmware was released for download with the expectation that certain elements wouldn't need to be secret any more. The car, or at least certain elements of it, were supposed to be out in public by now. From a consumer point of view, GM indeed has not released any details or projected release date, so I definitely side with the "how can there be a delay" crowd; however, if you're talking about internal GM delays, then yes, of course, there could be all sorts of "delays" that we don't know about. Perhaps they originally did plan/target a release at Detroit, but timelines shifted, and perhaps there is a glaring electrical issue that needs re-deign prior to public release... We will only know, once they do release the car, and internal folks are free to then gab about the process of deigning and launching the first-ever production ME Corvette, perhaps even making a short documentary as they have done before. Seems there is a bit of conflating the perspectives of the term "delayed"? Last edited by kozmic; 02-22-2019 at 09:51 AM.